A black and white jewelry box classic! 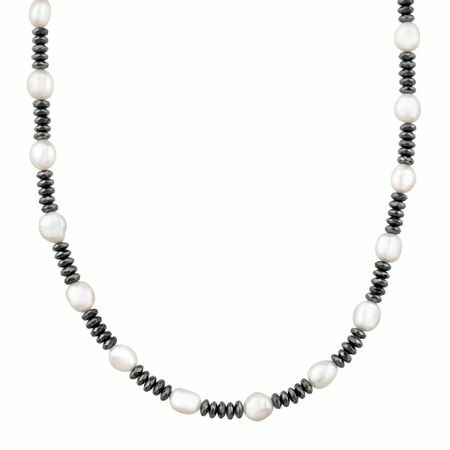 This necklace features 7-7.5 mm baroque freshwater pearls in white, interspersed with hematite beads, all displayed on a strand finished with sterling silver clasp. Piece measures 20 inches in length.